A new feature in the HoK booth was a tattoo room with 3 artists working full time. 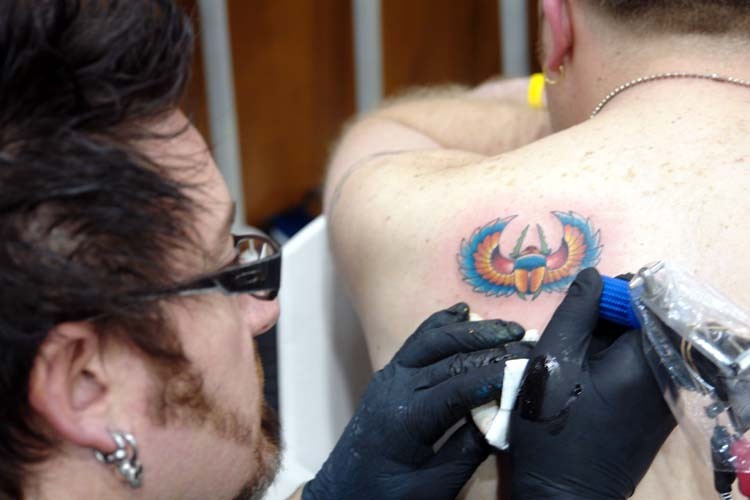 Here Jason Doll is cranking out a Scarab Masterpiece. I believe they did well over 100 scarab tats in the booth over the 4 day show.